Here You will Learn About What is Soil Profile and Different layers of soil with it's Formation. Before going towards what is soil profile? we all should know the meaning of the soil. The beauty is in the story what the soil tells. So basically soil is the upper layer of earth in which plants grow, it is a mixture of substances, composed of minerals, decayed plant and animal matter, water and air that supports life on earth together. The main objective is to provide you with information about the economic, cultural and environmental impact of soils on our lives. The aim is to raise awareness regarding soils. It is our planet which is providing plants with the help of soil and nutrients which are needed to grow and a kind of interactive relationships with microbes and fungi which will help them to enter and take up nutrients. 1 WHAT IS SOIL PROFILE? 2 HOW IS SOIL FORMED? The soil profile can be defined as a vertical arrangement of the soil from the bottom surface downwardly to where the soil meets the underlying rock. we all know that the soil is found in layers and those layers are arranged during the formation of soil. There are various layers in the soil which you can see in a soil pit or on a roadside cut. 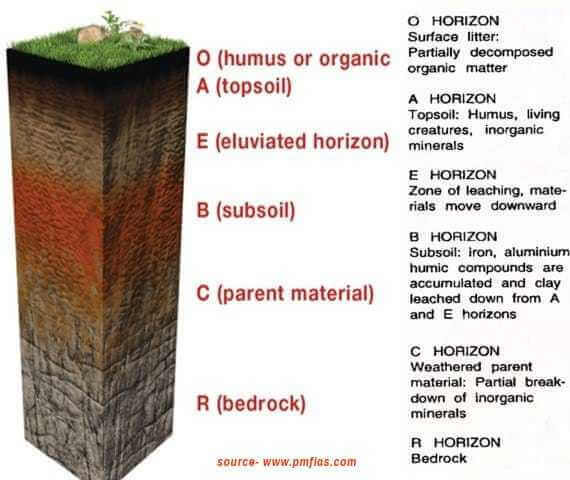 These layers are called soil horizons/layers and the arrangement of these horizons in a soil or the vertical section of the soil is known as a soil profile. A soil pit is that place where the secrets of the soil are hidden. You can also say it is the sequence of layers. One can easily observe the layers of soil by their color and size of particles. There are three main layers of soil – topsoil, subsoil and the parent rock. Each layer has its own characteristics and these characteristics play a very significant role in determining the uses of the soil. It means each layer is of different colour, texture and different chemical composition. Do Not Forget to check more about Natural Resources. Basically, the soil which has three layers is called mature soil. This kind of soil takes many years to develop those three layers. The soil which contains only two layers called immature soil. This layer is made up of partially decomposed material like decayed plants and animal matter. That is why the colour of the topsoil is dark brown. It is also called humus layer. Humus is that component of soil which already consists of useful minerals that are useful for the growth of a plant. Earthworms, millipedes, centipedes, fungi and bacteria are the living organisms which are found in this layer of soil. The next horizon below the topsoil is horizon B i.e. subsoil. This layer is more dense and harder than the topmost The subsoil is usually paler in colour than the topsoil. It has less humus in it. This layer is rich in minerals brought down from the topsoil. It contains iron oxide in a large amount alongside with metal salts. Also, when the farmers plough their fields for growing any crop, they mix the topsoil and subsoil together to bring out the best. The parent rock which is also called as bedrock which consists of rocks and stones, so it is a very hard layer. It has no organic matter. This lowermost layer represents the transition zone between the earth’s parent rock, topsoil and subsoil. Now, you have idea about what is soil profile, I would like to tell you the fact that how soil is formed? i.e. it took hundreds of years to form just a 1cm layer of soil. The soil is formed by the mixture of minerals, organic matter, gases, liquids, and many organisms, air and water etc. The process starts from the breaking down of big rocks into smaller rocks and then turn into fine particles by the continuous action of wind and rain. It is very easy to say but this process of formation of soil is very difficult. 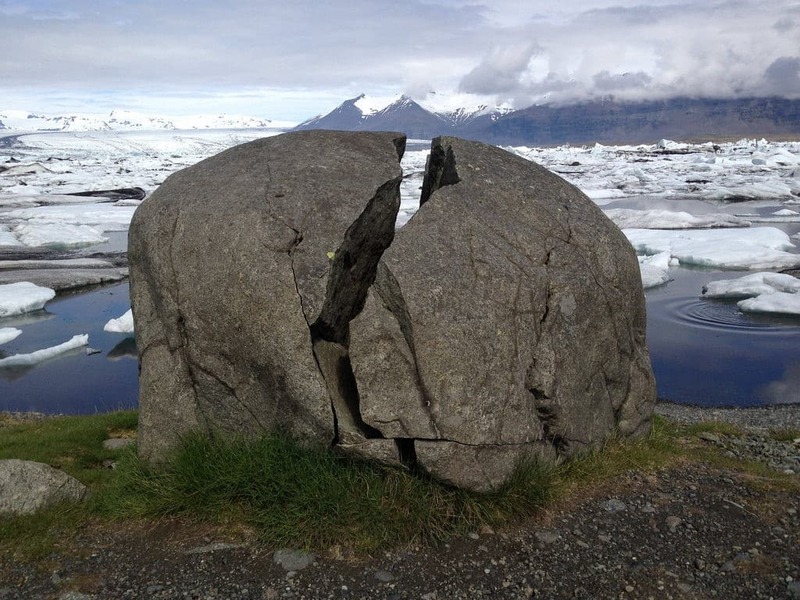 Physical weathering– When the rocks and the other landscapes break down due to some other physical factors of the environment. Physical factors like sun, ice, wind, water and the temperature which varies from time to time. It doesn’t affect the chemical composition of rocks or minerals. For example– the sea waves continuously hit the rocky shoreline and then the rock breaks slowly and turn into small pieces. Physical weathering is also known as mechanical weathering. Chemical weathering – Prime cause here is Acid rain. When the changes occur in the chemical compositions of the rocks or minerals due to exposure to the environment will be called as chemical weathering. It includes chemical changes that may get decompose, dissolve or may get breaks down the various parts of rocks or other landscapes. These changes are the result of other chemical and minerals that seep into rocks, usually as gases or in rainwater. 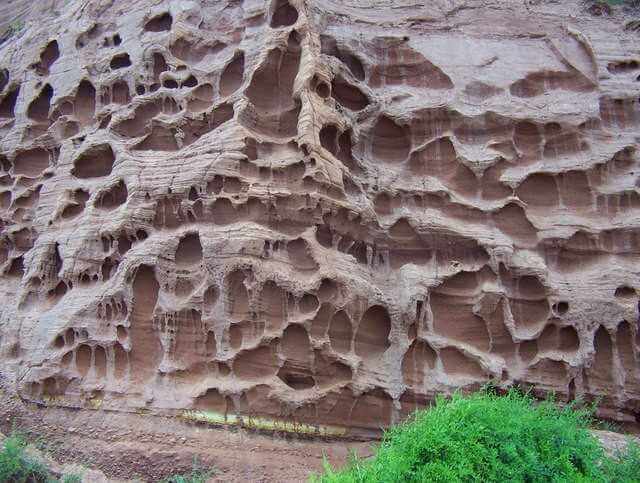 A number of natural forces works to break the parent rock into tiny particles of soil. This natural force includes wind, water, sun’s heat, plants and animals etc. then these pieces also breaks down to form sand and slit, finally into finer particles and the process continues till then these particles forms the top layer of the soil. 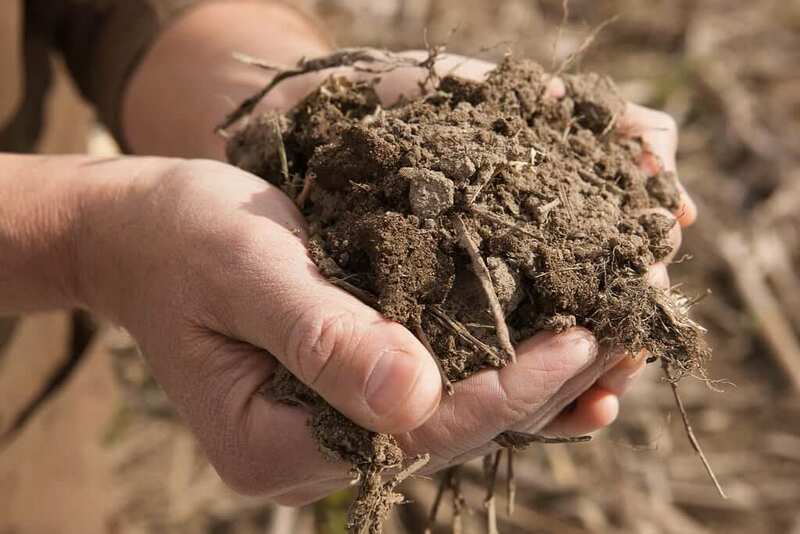 CLIMATE- The climate is a very important factor in soil formation. It determines many things like, how much water will drain through different layers of soil profile. Water is needed to convert the minerals into clay and pass on that clay to the lower layers. Moisture and temperature affect the soil. pH (potential of hydrogen) is highly influenced by climate. ORGANISMS- Soil microorganisms and plants provide organic matter and transfer nutrients to parent materials. Every other group of organisms have different effects on it. Like for example trees in the forest have different root system compare to grassland when it comes to producing organic matter. RELIEF OR TOPOGRAPHY – it gets influenced where all other materials and water gather together. For example: if water is running down the hill it is clear that bottom of the hill will receive more water, so, parent material will have more leaching of water than the parent material on the top. PARENT MATERIAL- Parent material is generally the underlying geological material where all the soil horizons/layers are formed. All parent materials are different when it comes to physical and chemical properties. For example- parent material like basalt lava much differs from the beach sand. TIME- A soil took many years to form. As time is the universal factor of everything, here also new soil takes time to form and give us the best of what we deserve. LAYER O (HUMUS)- The top organic layer which is made up of defoliation and hummus is known as O layer. LAYER A (TOPSOIL)- The next layer below O layer is called topsoil means layer A. It is the layer found between layer O and layer E. Seeds develop and the roots of the plant grow in this dark coloured It is a mixture of humus and mineral particles. LAYER E (ELUVIATION LAYER)– This layer consists of sand and silt. When the process of eluviation occurs, the water drips through the soil causes loss of minerals and clay. This layer is light in colour and it is found below layer A and above layer. LAYER B (SUBSOIL)– This layer is known as subsoil. When water drips through the soil from the upper layers (layers above subsoil), it takes along minerals and clay with it like calcium carbonate, iron and aluminium oxides etc. in the subsoil. LAYER C (REGOLITH)– This layer is the second last layer of the soil. The minerals and clay could not reach this layer. That is why it consists of slightly broken-up bedrock or parent rock. Very little organic material is found in this layer, so the roots of the plant do not penetrate in it. This layer is also called regolith. LAYER R (BEDROCK)- This layer is called the lowermost layer of the soil. So this is the layer which is made up of just rocks and stones. It is the hardest layer of the soil. It also has no organic material in it like layer C. One can only find the unweathered rocks in this layer. Please feel free to write about your views and thoughts in the comment section below.